Keeping records may not be the first thing you think of when breeding, training or doing anything else in your loft, but can be key to future success. It’s not only important to know the father and mother of your youngsters but there grandparents, in other words about their origins. That is why most fanciers have separate pedigrees for every single pigeon. These pedigrees carry information about the origins of the pigeon, its date of birth and other aspects that the fancier considers to be important. You should of course add information about the races it’s completed and the prizes its won, as well as the number of participating pigeons, the speed per minute and the weather conditions (very important). We want to emphasize the importance of keeping records of your pigeons, whether or not with the help of a computer. It is usually not difficult to select the pigeons that have proved their worth and to get rid of the pigeons that are not at all useful. The other pigeons are a different story of course. However, if you write down all the results of your pigeons you would sometimes be surprised about the quality of some of these pigeons that you are hesitant to keep in the loft. You will notice that some pigeons perform much better than you expected. On the other hand some of your favorite pigeons will appear to have won less prizes than expected. 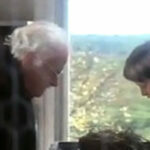 This happens a lot, because fanciers usually have a few pigeons in the loft that they are particularly fond of. It seems that fanciers always have a few favorite pigeons and they only seem to remember their best performances. On the other hand they immediately seem to notice a bad performance from a pigeon that they are less fond of (for different reasons). 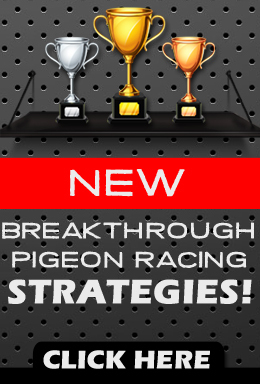 You can avoid drawing the wrong conclusions if you have a correct list of achievements for each pigeon at the end of the racing season. This will prevent you from blindly selecting the pigeons that you favor and getting rid of pigeons you are not fond of. All results of all of your pigeons are there in black and white; the good results as well as the bad results. Numbers don’t lie! The lists of achievements should easily allow you to make a point classification for each of your birds. In our loft we make a ranking for all our racing pigeons every season, based on the information that we gather throughout the year. Every pigeon has its own file that contains the following data: date, release site, number of pigeons, the achieved result per 100 pigeons, speed per minute, the type of weather and, for breeding pigeons, the position of the nest. We think that the achieved result per 100 pigeons is very important but this is of course our opinion. We think the result per 100 pigeons gives a much clearer view of how well the pigeon really performed. To those who are not familiar with this system: the result per 100 pigeons is based on a simple rule of three. For instance: pigeon that has won a 20th prize in a race with 1,000 pigeons has won a second prize per 100 pigeons. This is done for every race the pigeon participates in. At the end of the season we add these results together and we divide it by the number of races. The result gives us a good idea of how the pigeon performed over the season. The lower the number the more successful the pigeon. With the help of computer software we can calculate this coefficient much more quickly. It allows us to make a general ranking of all the racers in the loft with ease. Obviously, a fancier who uses computer software has a lot less calculations and paperwork to do than a fancier who writes everything down in a notebook. 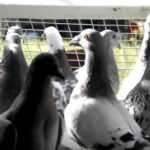 At the moment there are several computer applications available for pigeon fanciers, which allow you to enter calculations, rankings, pedigrees etc. A fancier only has to press a few buttons to see any piece of information. But whether you opt to use a piece of software or a trusty pen and paper if you start keeping records of everything you do in your loft and with your birds you will put yourself ahead of 95% of your competitors! Degrave, MArtin, and Marc Verheecke. “A notebook or a computer to keep track of your loft: it does not really matter.” . N.p., 3 Jan. 2013. Web. 7 Aug. 2013. 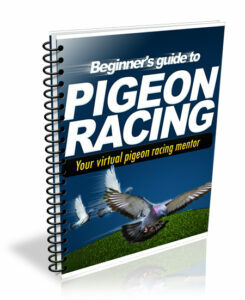 Pigeon Racing; What Make's a Champion? Good advise. If anyone is looking for good software to use which is free I personally use pigeon planner which I think is excellent. HAPPY NEW YEAR TO YOU AND ALL FANCIERS.